The major difference between the electrical and electronic devices is that the electrical devices convert the electrical energy into the other form of energy like heat, light, sound, etc. whereas the electronic device controls the flow of electrons for performing the particular task. The other differences between the electrical and electrical devices are illustrated below in the comparison chart. The electrical and electrons both are interrelated with each other. The electrical is the flow of electrons, and the electronics is the technique of controlling the flow of electrons for doing the particular work. The working principle of both of them are same, i.e., uses the electrical energy for doing work. Definition It is defined as the device which uses the electrical energy for performing the work. The device which controls the flow of electrons for performing the particular task is known as the electronics devices. Material Used Metals like copper and aluminum are used for the conduction of current. Semiconductor material like silicon, germanium etc. Operating Principle Convert the electrical energy into other forms of energy. Uses the electrical energy for performing the particular task. Manipulation Do not manipulate the data It manipulates the data. Uses For doing mechanical work. For amplifying the weak signal or for coding and decoding the information. Examples Transformer, motor, generator etc. Transistor, diode, microprocessor, flip-flop, amplifier, etc. The devices which convert the current into other forms of energy or work such type of devices is known as the electrical devices. It uses the metal for conduction. The electrical devices mainly work on the high alternating current. The power consumption of the electrical devices is also very high. The electrical devices are more dangerous and less reliable because it causes the hazardous electrical shock. The size of the electrical devices is very large, and hence it requires more space. Example – The fan is the electrical devices which convert the electrical current in the form of rotational motions. The electric bulb, lamp, tube light, converts the current into light. The heater converts the current into heat, etc. The devices which control the flow of electrons for performing the particular task such type of devices is known as the electronic devices. The word electronics means the study of the behaviour of electrons under the effect of electric field. 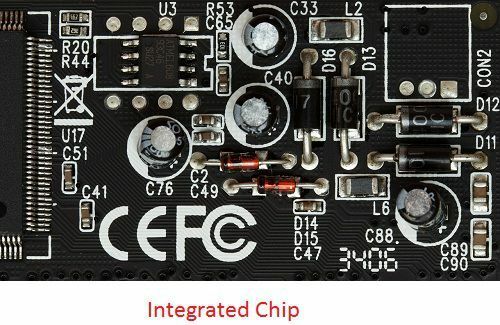 The electronic components are mainly classified into two types; they are the active component and the passive component. The component which delivers energy is known as the active component, and the devices which receive energy is known as the passive component. The electronics have three main active components and the two main passive components. The resistor, capacitor and inductor are the names of the active components while the tube devices and the semiconductor are the passive components of the electronics devices. The resistor opposes the flow of current and the capacitor store the electrical energy. The inductor produces the inductances. The tubes devices and the semiconductor are the platforms used for the movements of electrons. When the electric field applied across the tube and semiconductor, the electrons are energised and start accelerating. For example – The transistor is an electronic device used for amplifying the weak signal. The photodiode converts the light energy into electrical energy etc. The following are the key differences between the electrical and electronic devices. The electrical device changes the current into another form of energy like heat, light, etc. whereas the electronic device controls the movement of electrons for performing the operation. The electrical devices use copper and aluminium wires for the flow of electrical current whereas the electronics devices use the semiconductor material. The electrical devices mainly work on the alternating current whereas the electronics device works on the direct current. The electrical devices work on high voltages whereas the electronics devices work on low voltages. The power consumption of the electrical devices is more as compared to the electronics devices. The conductivity of the electrical devices is high whereas it is low for electronics devices. The electrical devices do not manipulate the data whereas the electronic devices manipulate the data. The electrical device directly works on the current due to which it gives the quick response.The electrons are the only moving charge of the electronic device and hence their response time is less. The electrical device is heavy and larger in size and hence requires more space whereas the electronics components are very smaller and placed on the single chip or we can say it requires very less space. The electrical device is more dangerous as compared to the electronic device because in electric devices heavy short circuit occurs because of the fault which is very dangerous for life. The fan, transformer, motor, generators are the examples of the electrical device whereas the transistor, thyristor, microcontroller are the examples of the electronics device. The electrical and electronic devices both depend on the flow of electrons for performing the operation. 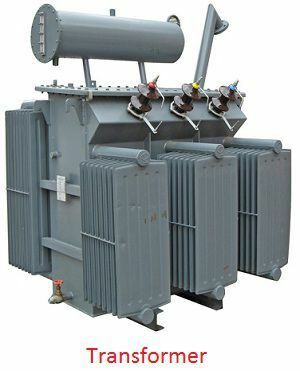 Both the devices use the transformer for transmitting the voltages. The electrical devices use both instrumental, and power transformer and the electronic devices only use the instrumental transformer. well elaborated, thanks for sharing.